Steel brushes are used in numerous industrial settings to clean surfaces and remove rust. The durability and cutting power of steel make it the perfect material for heavy duty cleaning. Some steel brushes are very simple and must be used by moving them back and forth on an object to scrape dirt and rust off. 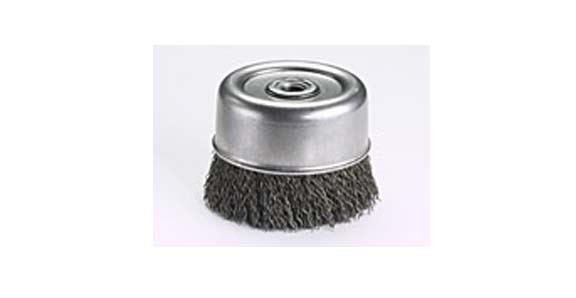 Cup Brushes Steel brushes are used in numerous industrial settings to clean surfaces and remove rust. The durability and cutting power of steel make it the perfect material for heavy duty cleaning. 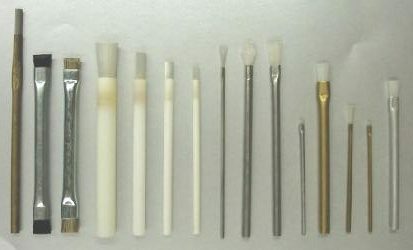 Miniature cup brushes connected to a long arm are also made to clean hard to reach areas or components. The mounting portion of cup brush usually has a threaded hole or a stem that can be fitted into a drill head or some other rotation machine. A cup brush with a threaded nut is usually designed specifically for use with an angle grinder for smooth and efficient operation. Most power tools that are used with cup brushes have varying speeds to help control the operation of the brush. Cup Brushes – Spiral Brushes, Inc.
Cup brushes are very common in the welding industry where they are used along with other steel brushes to put the finishing touches on metal products. A cup brush can be used to smooth out newly welded joints and get a product ready for paint. Welding professionals are always careful to make sure no flammable chemicals or other materials are present when they use a steel brush because the friction at high speeds creates a wave of sparks.